The Lap-Chee ART-ivity team is hosting a watercolor workshop on Nov. 26 from 4:00 to 7:00 in the studio. 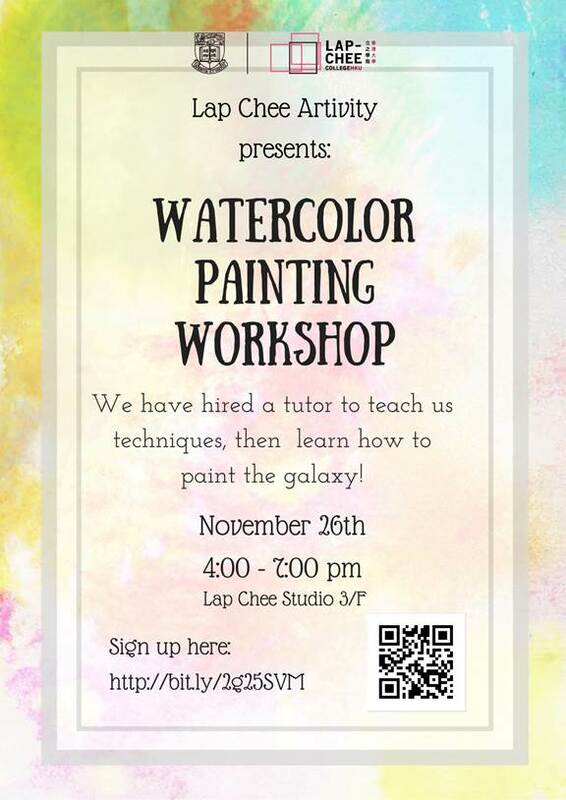 An art tutor will come teach the basics of watercolor, then help us each paint a landscape of the galaxy! The event is a perfect break from studying and a great way to finish off you’re last week of classes for semester one! There are only 20 spots, so sign up ASAP and wait for a confirmation email to ensure you’re spot.